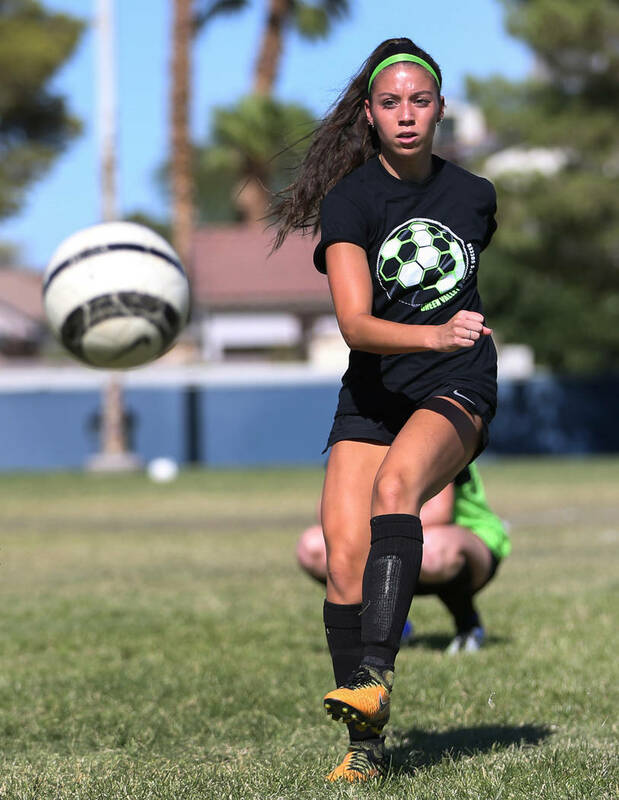 Green Valley senior Taylor O’Neill committed to Xavier last November and is using her senior season to prepare for her collegiate career — and to help the Gators’ soccer team compete in the cutthroat Desert League. The ominous Beep Test awaits Green Valley senior Taylor O’Neill at Xavier University, and it’s as daunting mentally as it is physically. The test is a standard barometer for conditioning and consists of successive 20-meter sprints that intensify over a period of about 15 minutes — or until the athlete can’t continue. All set to the tone of a beep and until she garners the satisfaction of her coaches. Fortunately for O’Neill, she has plenty of time to become that fit. 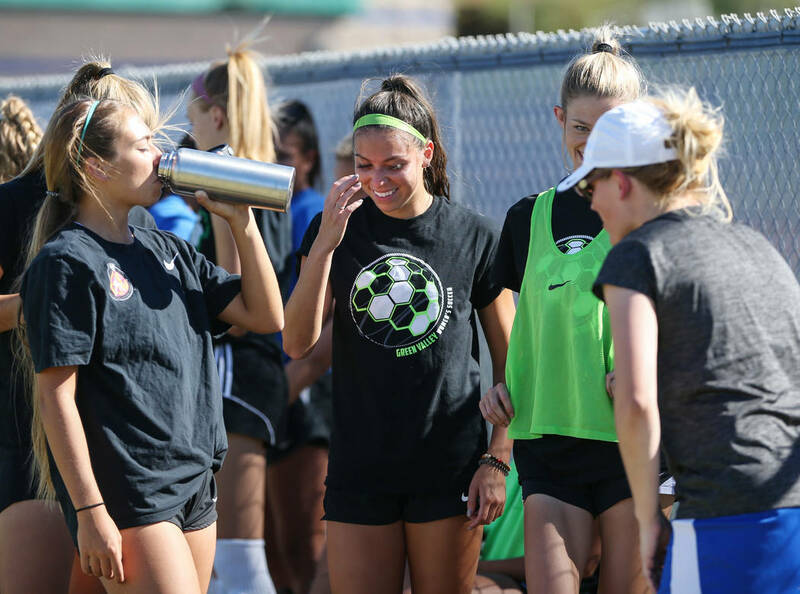 O’Neill committed to Xavier last November and is using her senior season to prepare for her collegiate career — and to help the Gators’ soccer team compete in the cutthroat Desert League. 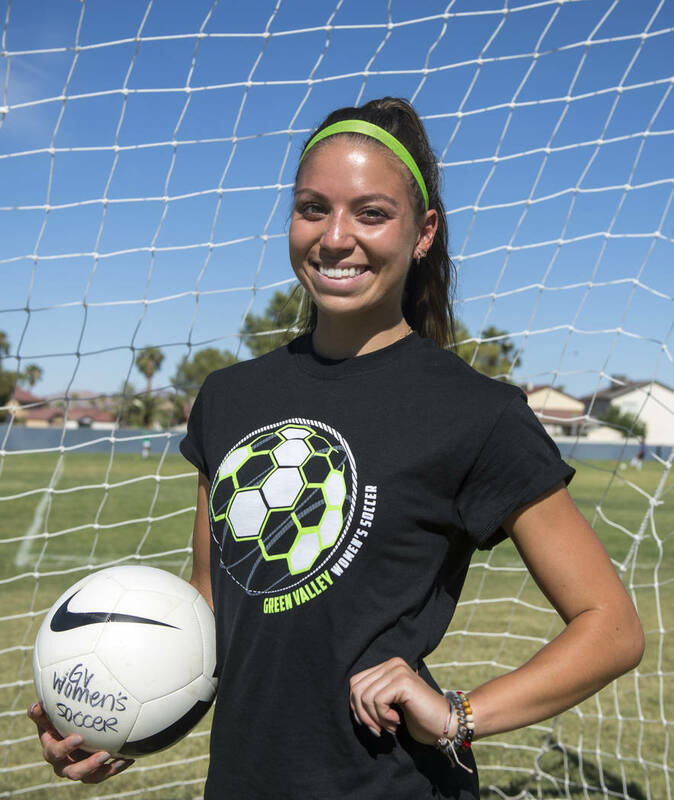 She’s a defender now, but grew up playing forward and has three goals this season while anchoring Green Valley’s back line. Her speed on the perimeter warrants constant attention from opponents, and she’s skilled enough to capitalize on the slightest mistakes. 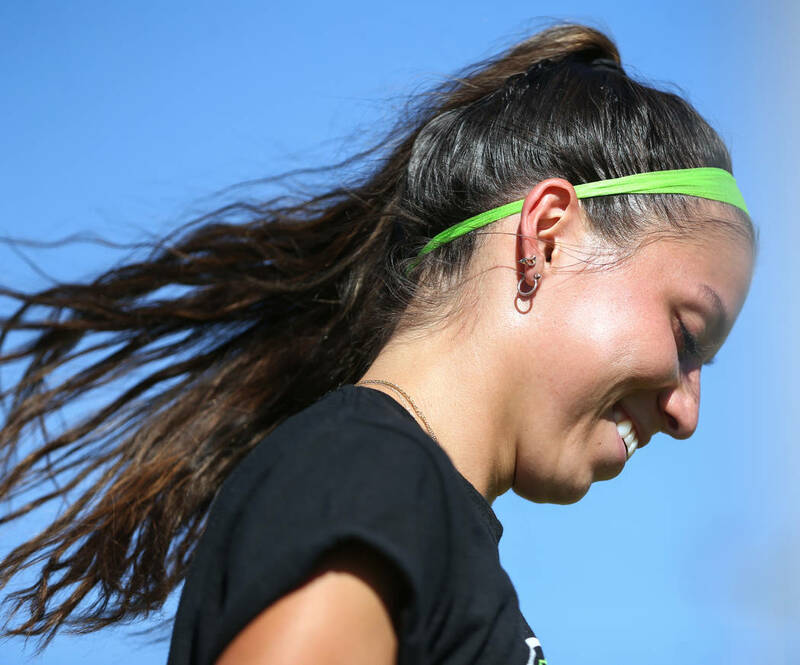 O’Neill started playing soccer at age 4 under the direction of her mother and quit for two elementary years before joining the pre-eminent local club team, Heat FC. She began working with a private coach to supplement practice with her club team, and her recruitment blossomed as she grew within the program. O’Neill chose Xavier over Michigan, Campbell and Cal Baptist because of the university’s intimate environment. O’Neill didn’t play high school soccer until last season because of her club schedule and helped the Gators reach the Class 4A state semifinals. She still plays club soccer and often practices twice a day during the high school season. “She’s a constant two-a-day player, which is great for getting ready for college,” Davis said. It’s also great for getting ready for the Beep Test. Clark senior wing Jalen Hill will announce his collegiate decision Thursday afternoon during a ceremony at the school, according to Chargers coach Chad Beeten. The 6-foot-7-inch Hill is a top-100 player nationally and the top senior in Nevada. He led Clark in scoring last season and also the Las Vegas Prospects during Elite Youth Basketball League play in the spring and summer. Hill has taken official visits to Oklahoma and Texas Christian. He’s a top UNLV target. 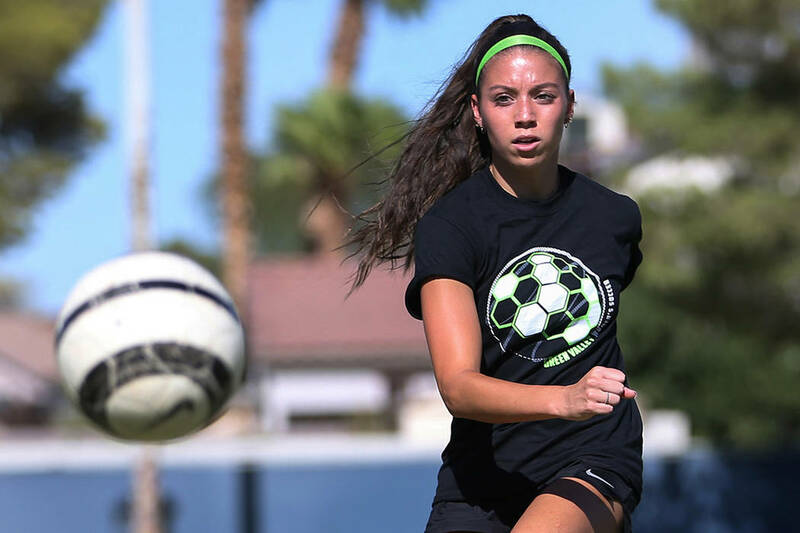 Bishop Gorman’s girls soccer team is No. 8 in USA Today’s national girls rankings. The Gaels are 9-0-0 and have outscored their opponents by 48 goals.